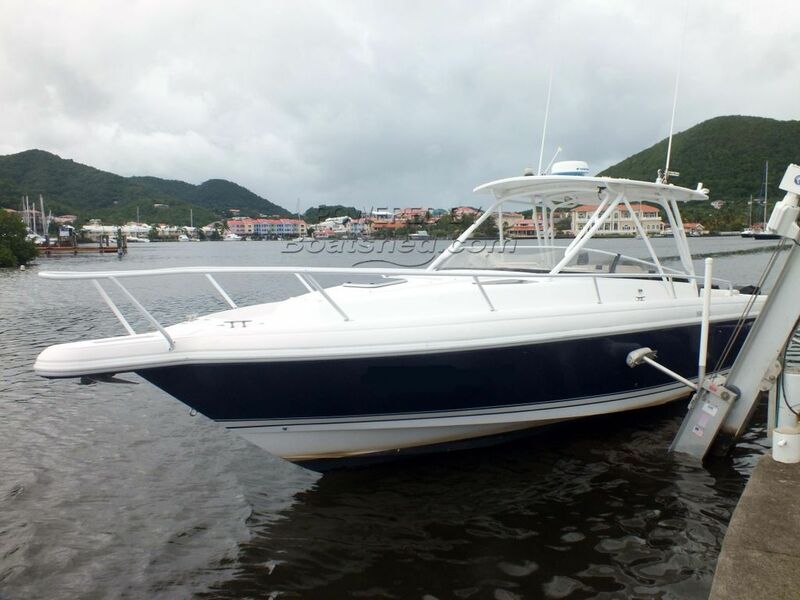 The Intrepid 348 Walkaround is powerful stepped hull design with excellent Kevlar composite hull. The efficient layout deck with guest seating forward of the helm and convenient side door entrance. There is well appointed cabin with galley, and and enclosed large head. The boat is well set up for sports fishing with many rod holders, outriggers and live bait wells. This example has a huge benefit of new engines in 2014 with low hours. This Intrepid 348 Walkaround has been personally photographed and viewed by Andy Topham of Boatshed St Lucia. Click here for contact details.